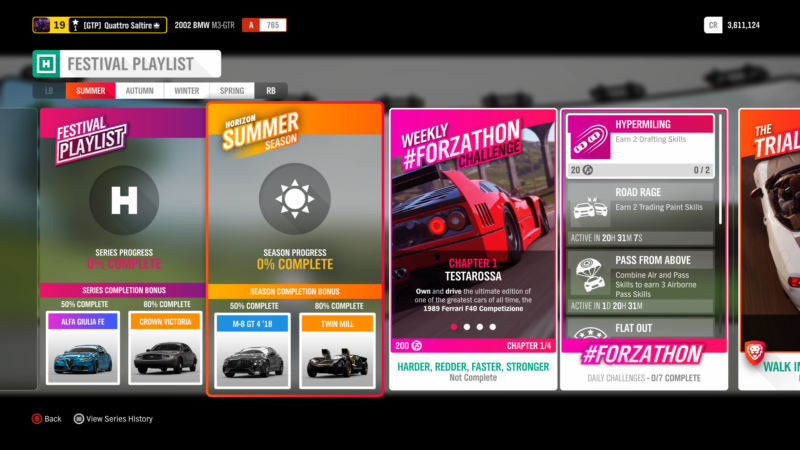 It’s time to dust off the sunblock, because summer is back in Forza Horizon 4. A bevy of fresh content and events accompany the sunshine for players exploring Britain. We already got a taste of what to expect with Monday’s Series 8 preview. Now, we’ve got a more detailed breakdown below. The start of a new season brings a new Festival Playlist. Summer means a fresh set of prizes to kick off the next month. A fresh set of prize cars are available for completing the season and playlist to 50% and 80%. Our events breakdown is below. 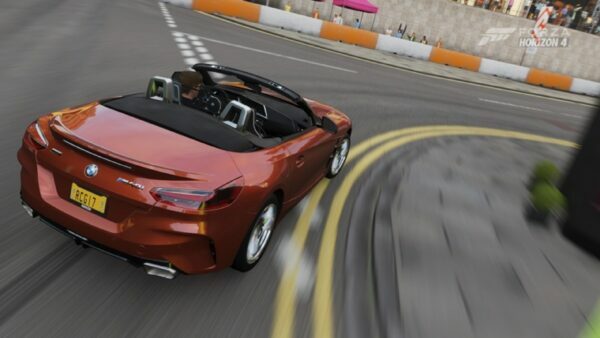 Four new cars are up for grabs for players that complete the season and the playlist. One main debut stands out from the crowd in this case. The car in question is the 2019 Mercedes-AMG GT 4-Door Coupe. 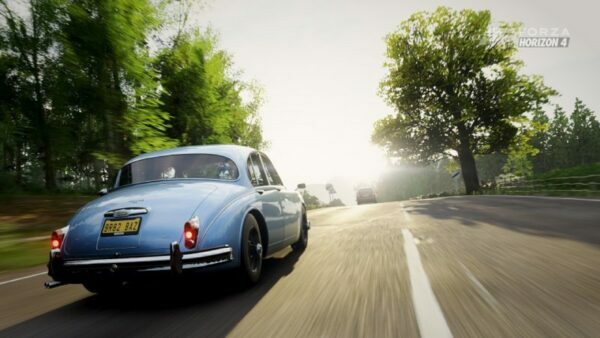 The swooping 4-door fastback officially makes its Forza series debut this week. 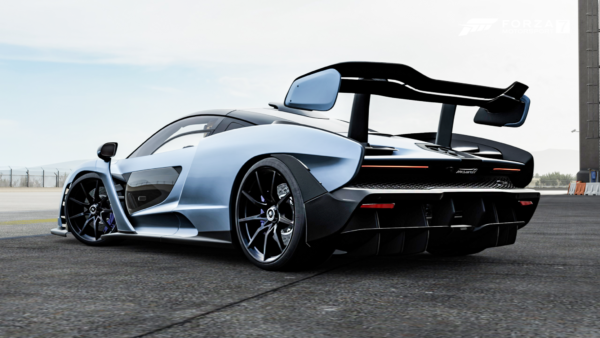 With a 4.0-liter twin turbocharged V8, and 640 horsepower going to all four wheels, the GT may just become a new favorite all-round super sedan for players. Next is the bonkers Hot Wheels Twin Mill. 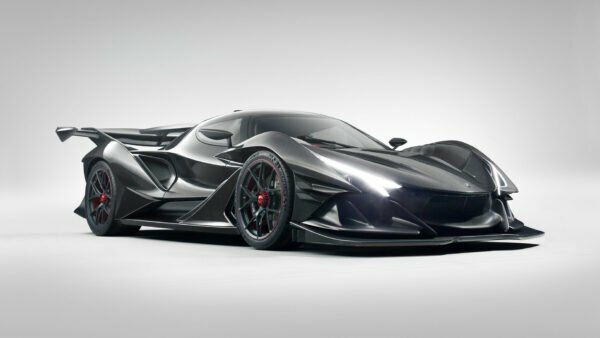 One of the most powerful cars in the game, the Twin Mill’s two 8.2-liter supercharged V8s deliver a ballistic 1,400 horsepower. Make sure there’s a lot of straight road ahead before unleashing the torque of this beast. The remaining two cars are the Alfa Romeo Giulia Forza Edition and the Ford Crown Victoria. The tuned Giulia comes with an Event Influence boost for those looking for a helping hand in leveling up. The Crown Vic is one of America’s most iconic law enforcement vehicles. 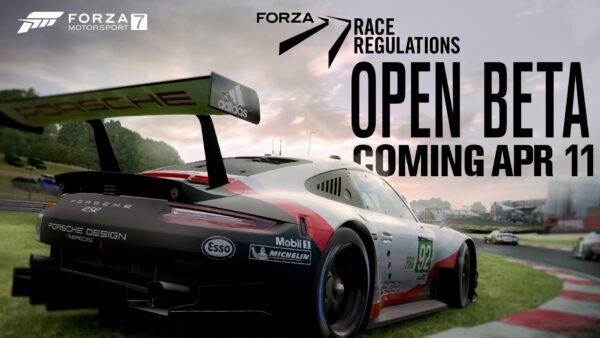 Players will have a lot of fun with tuning one to their tastes. There’s also the new Mercedes X-Class and a Porsche 550 Spyder available to be won. Players can acquire the new pick-up truck by winning the “Mercedes Cup” championship. 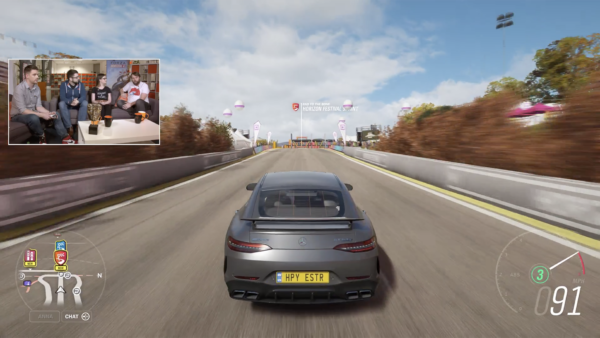 Players must win The Trial against Unbeatable Drivatars to win the Porsche. A new Rivals event for this month will see players head to the tight and short Ambleside Scramble circuit. Your weapon of choice? The Peugeot 205 T16. All you need to do is register a clean lap to count towards progression. 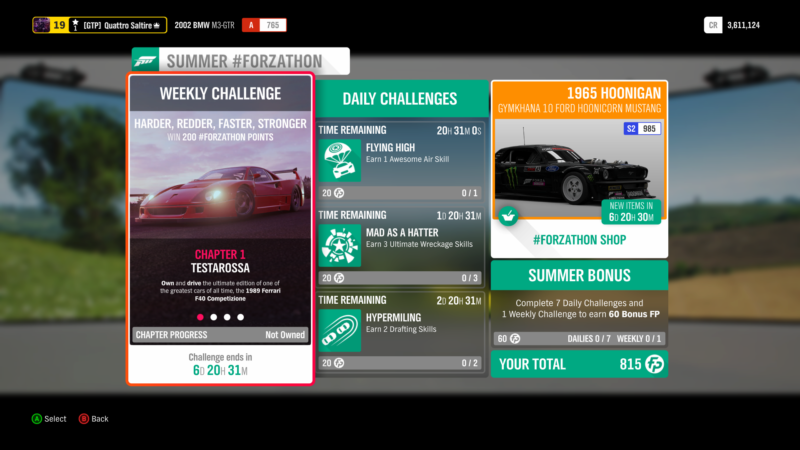 Forzathon goes Italian this week, focusing on a racing version of Ferrari’s greatest supercar — the F40 Competizione. The first objective is simple; own and drive this iconic beauty. Head for the Bamburgh Dunes Speed Trap for the next objective. You’ll need to get 3 Stars in order to progress. Unleash the F40’s twin turbocharged V8 and earn 25 Ultimate Speed skills for the third objective. Finish off by simply taking your F40 for a drive around the UK. Your distance target is 24 miles. With a car like the F40, that should be a walk in the park. 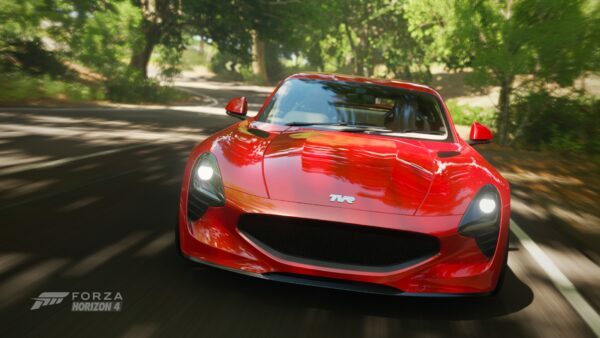 The lineup for the Forzathon Shop sees a familiar face return to the storefront. The Hoonigan Ford Mustang “Hoonicorn” will make a fun tool for players looking to chain skill streaks together. 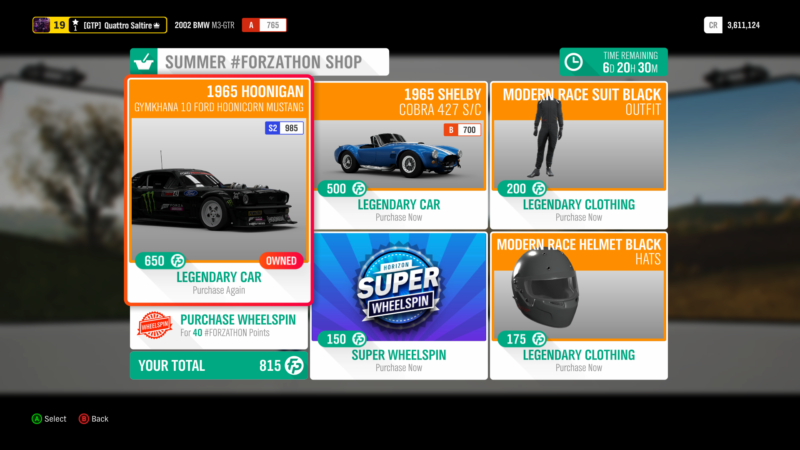 Costing 650 Forzathon Points, if you haven’t already purchased one, we suggest spending on Wheelspins. Joining it is the 1965 Shelby Cobra 427. This roadster put Carroll Shelby’s name on the map. The 7.0-liter V8 makes a stout 425 horsepower and enough torque to light up the rear tires with a hint of throttle. 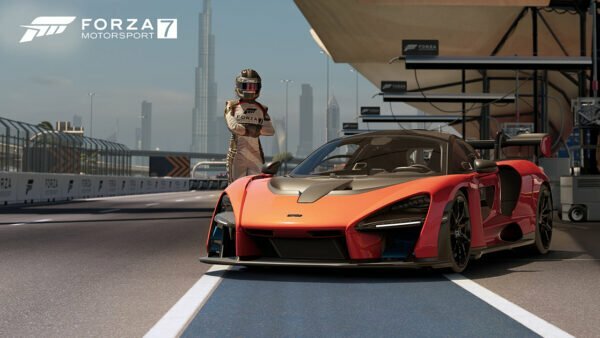 At 500 FP, it’ll put a big dent in the wallet, but it’s a special car to invest in. Clothing for this week consists of the black modern race suit and helmet for 200 FP and 175 FP respectively. Featured image courtesy of codenayme.